A few years ago, on a clear autumn day that’s imprinted in my memory as a picture of orange trees against cerulean blue skies, accented with billowy white clouds, I was standing at the kitchen sink when I heard a thud. I ran outside, knowing that, in my desire to appreciate the day’s beauty, I’d pulled the blinds up—creating a landscape that fooled a bird. In this case, it was a quail. I lifted him gently in my gloved hand, intending to place him in the shrubbery to give him a chance to recover from his shock, but within a minute his beautiful head fell forward in death. I was broken-hearted but the moment gave me the chance to really study the intricate design and pattern of the masterpiece that his feathers created. For me this was an opportunity to wonder at the magnitude of creation. Since then, I’ve been so much more attentive to feathers left behind and to birds that visit our feeders. Here in Reno we enjoy hummingbirds, doves, orioles, Stellar’s jays, robins, finches and so many more. In Palm Desert, the songs of the mockingbirds, wrens and others fill the morning with beauty. For today’s Poetics, I ask you to look at feathers. Perhaps you will write of a bird, whether humble or glorious in its array, or maybe you will zero in on an individual feather in its detail, writing along the line of imagist poets. How about feathers as a metaphor, or the function of these structures as they serve our avian friends? You may even choose to get a bit spicy, but what would I know about that? Can you hear feathers? Smell, taste or touch them? What do they mean in certain cultural or religious traditions such as those of Native Americans? There are so many possible ways to fly with this prompt. This is Victoria for dVerse Poetics, looking forward to reading your submissions. Don’t forget, we are in the process of choosing from the poems that you submit for publication in a dVerse Anthology. You will be contacted if your work is chosen and we will obtain your permission. G’day fellow poets and fine-feathered friends. Happy to be hosting today and looking forward to reading your poems. Hello Victoria! Thank you for hosting and thank you for this wonderfully different prompt. The idea came from all the feathers I’ve seen strewn about lately when walking the dogs. We do have hawks around here. We have hawks as well. they keep the squirrels down! Glad you enjoyed it, Bjorn, and your poem takes the metaphoric aspects and flies with it. Hi Victoria and Toni! I’m on time today – it’s 20.05 over here and I’m ready to write! I love birds and feathers. I wrote a poem to submit to a magazine, together with five others – a new poem, about my mother’s dementia in which she is a Wandering Albatross. It’s one of those feathery days. Mojo, the kitten, has been playing with a white feather from a cushion and there were feathers in the garden this morning. I heard that seeing feathers has some kind of meaning but I can’t remember what it was. I’m looking forward to reading poems about feathers. Thanks for hosting with an interesting prompt, Victoria. See you later! Wow, it sounds like a feathery day for sure, Kim. I will look forward to reading what your bring to the pub. Yes it does seem a feathery day. I look forward to reading your take on the prompt as well. Glad you can join us! My Internet is soooo slow today…floating like a feather borne in a zephyr. Of course I did a haiku about crow feathers. Amazing all the lore about feathers from our first Americans. I love crows and their feathers. The first Americans believe the crow feather restores balance and releases one from old beliefs. Powerful mojo in them. the other day while out walking, there was a tremendous cawing from the trees overheard. I looked up at all the crows sitting there and one of their feathers drifted down to land at my feet. A few moments later, it began to rain. Much needed rain after a long, dry hot summer. Balance restored! I have a book by Jamie Sams, a Southwestern Indian author, called Medicine Cards that deals with the significance of the various animal totems. Quite amazing. Yes it is. It amazes me how the various tribes have so much similarity in their totems and meanings, from the Lakota Sioux to the Cherokee to the Pamnunkey. I truly enjoy the studies of the first Americans. One of my early lovers in university was a Lakota Sioux. He shared quite a bit of his heritage and life with me. I am proud to say he is now an advocate and lawyer for his people and a fat grandfather sharing with his grandkids. That’s wonderful. And so good that you have kept up with him. He is also a good friend! The best lovers always are. 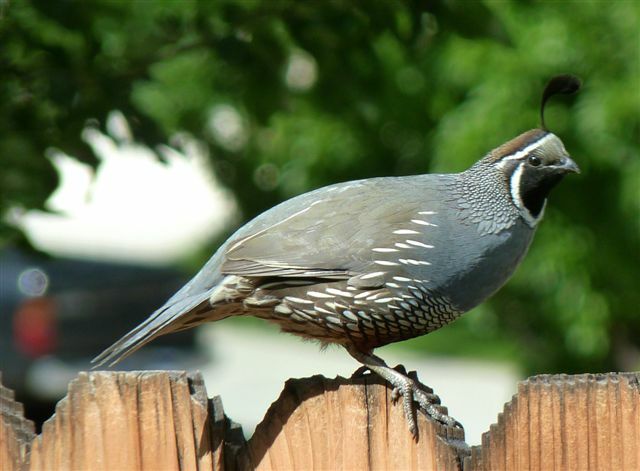 Lovely story, quails are certainly beautiful. Of course I love your poem by my favorite author. I’ve read it many times…. It certainly has…. I hope your poetry finds you well these days! I’ll take down one of them…hahaha-ing. PS: Still catching up on wonderful haibun reading! Go for a 2nd one, Lillian! It would be fun. Very interesting prompt. I’ll have to feather my nest and roost for a bit until a poem hatches. Hello. This was a very interesting and thought provoking prompt. I had nothing. But finally something came to mind. D’verse is a lot of fun. Thank you, Victoria and everyone else. Thank you, Jane. We enjoy having you join us. Wonderful prompt, Victoria. I love feathers, and all things bird. And we are honored to have you, Kay. We have out of town guest for the evening. I will sneak in and out as I can. So sad about the beautiful quail. Just the other day we had a bird conk into our front window but it was mercifully a light “crash” and he just took off. It never fails to stun us though when we hear that thud! I wrote a haibun on my ongoing connection to peacocks…although there are none where I live now…that I know of. Peacocks are so amazing. When I was a kid, there was a neighborhood nearby in SoCal where they just took over. We used to cruise through and they would show off for us. Sorry to be so late–our guest stayed a long time and I will need to finish reading tomorrow. You’re not late as long as it’s still open, Sanaa. So glad you stopped by. I think of dreams and wishes with your prompt. Somehow, I turned dark in my piece. 🙂 Thanks for the prompt, Victoria. Thank you, Imelda. I like how dark sometimes sneaks into our poetry. Can’t wait to read it. 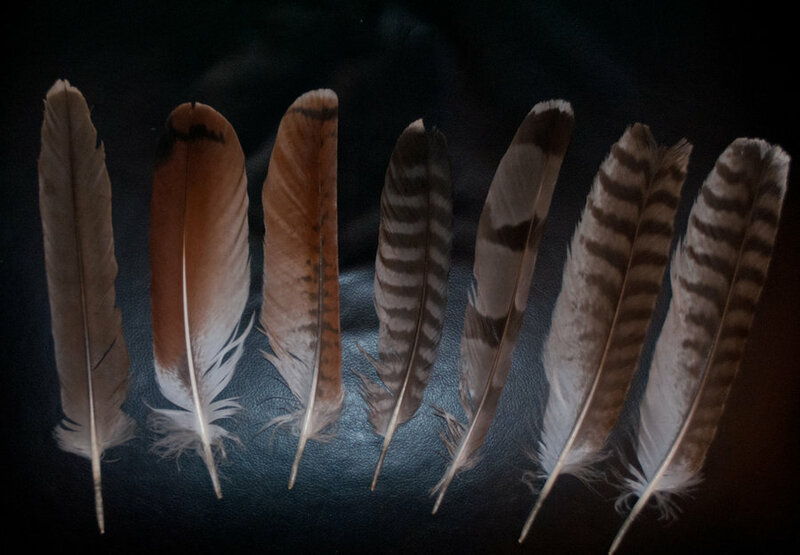 Posting a second poem, a haibun, for the feather prompt–this one about Native American tradition. My feathers are ready to fly! 😊 Great prompt. So glad you are soaring! Oh Victoria! I loved your every word, and of course the lines from Emily D–thank you so much for this prompt. I’ve not participated in a long while, but this calls to my heart. God bless you. Thank you–I’ll try to work up something for the prompt, but the other entries I’ve seen are quite daunting! I missed the joining in but enjoyed this prompt! There is always open link night…today! You are welcome to put it in our OpenLinkNight, where we are currently reading poems from a variety of prompts.